I find reviewing masks individually a little too stressful for my mind to handle, hence I'm gathering a few of them and review them together in one go. Face masks are part of my skin care routine. I enjoy using them, more than I feel like my skin can't live without them. When I am very diligent, I can do a mask every night. When I'm lazy, I do it once a week or even not doing any in months. However, I do find my skin to be more radiant, smooth and spotless when I do mask regularly. Make up applies more evenly and I am more confident in my bare skin. I am in love with the previous version of Rose Mask by Nuxe (previous review - link), and was a bit disappointed when they discontinued that, and re-introdroduce another rose mask. By the way, my ancient review is very funny when I re-read it just now. However, I'm glad to announce that I do love this new mask. 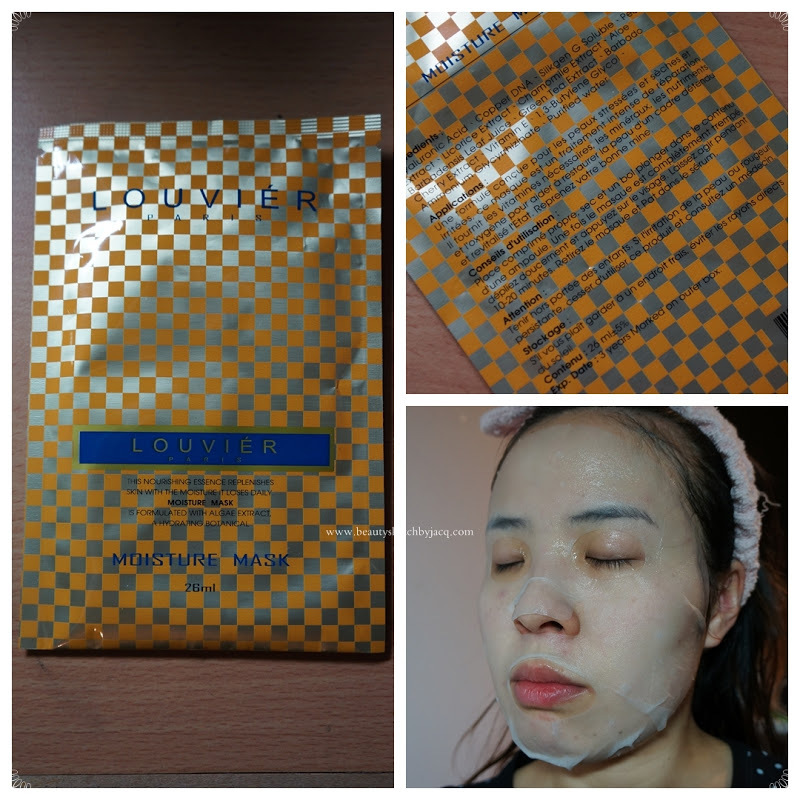 It is a non-drying clarifying clay mask, which has a very good blend and applies smoothly. It doesn't dry totally like normal clay mask, but dry to a play-dough consistency. Leaves my skin clean, soft (not dry and cracked). Most importantly, it smells extraordinarily stunning. All ampm products I have tried are slightly lavender scented, with neat and minimal decorations - gives confidence and a clean feeling. This mask has a very basic packaging, but works wonder. This cream mask is a light cream (or thick gel), applies like a moisturiser really. 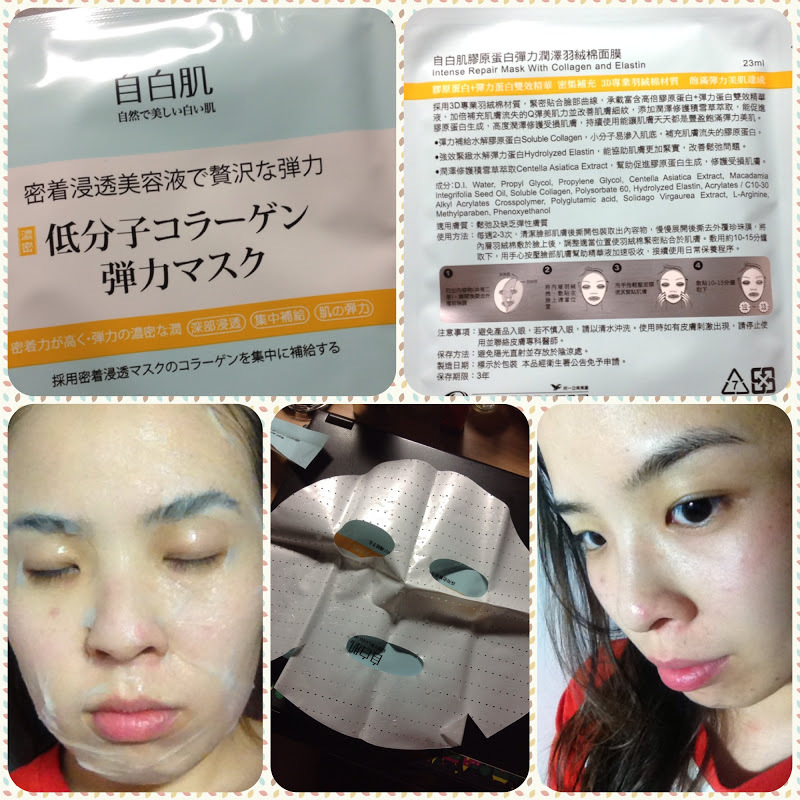 It hydrates very intensively, and within 10 to 15 minutes as it recommends, skin is significantly pumped up. At this point, you can either wash it off, or leave it on over-night. 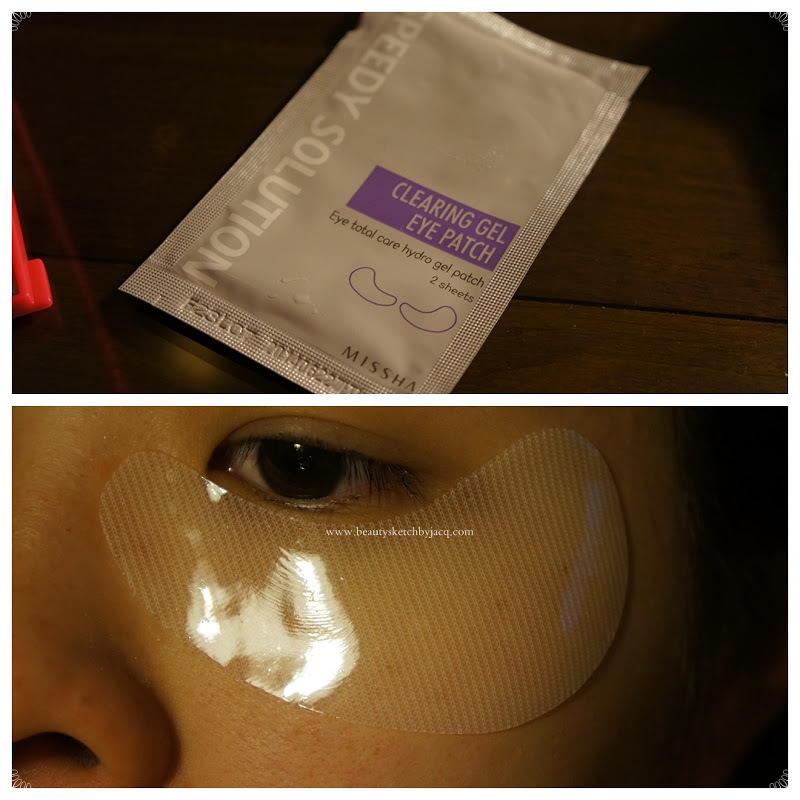 I sometimes leave it on; despite the slight stickiness and thin-film feeling, it seals in the moisture and when I wake up the morning after, skin is glowing! Taiwan brand, available in local Mannings. It claims to have collagen, elastin, and centella asiatica (plant!?) extract to help with elasticity in the skin. I see that in the ingredients list, there's even macadamia seed oil (to nourish!?). The sheet is very soft, very thin and adheres closely to the skin. However, you need to follow the 10-15 min suggested time as it dries up quite quickly. Effect? I have some dry patches around the mouth due to weather change, and after 15 minutes in this mask, they are tamed. Good for: Moisture, Quick repair. Marvellous impressive texture of gel sheet. Has some net fibre in the gel so it is not totally slippery and slide away. The effect is alright, not miraculous but refreshing and last through the day after. Keep the eye area moist and relatively smooth. Montagne Jeunesse Blemish - No Way - Read in empties post (link). thanks for ampm mask review! i'm looking now at this line (desert extreme)- i want to try their eye cream. did you try it? I have it in my stash but not yet started using it. I am pretty sure it will perform well - all of the ampm products i have tried, work for me! Thank you for the review of the Nuxe one, I need to make a mental note to pick it up when I run out! Love that it's geared towards sensitive skin too! Try pur minerals mud mask, it's so fab....i want to try the nuxe next, I love rose scent. The nuxe stuff is really amazing!